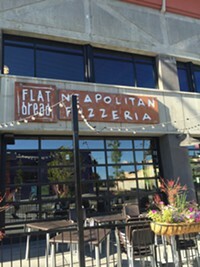 Boise, Idaho-based Flatbread Neapolitan Pizzeria Restaurant now has a location open in Sugar House, Salt Lake City, and there’s a reason it’s always packed: the authentic, thin-crust, wood-fired Neapolitan pie. With a menu that boasts more than 20 pies, plus a craft-your-own option, there is something for everyone here, including salads, sandwiches and gluten-free options. The restaurant prides itself on using only the finest milled flour, San Marzano tomatoes, all-natural fresh yeast and fresh mozzarella and basil. Top off your charred-to-perfection pie with a glass of wine and, voila, a delizioso meal.